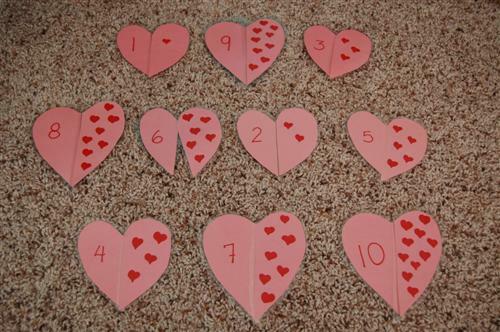 This Valentine's Day-themed matching game tests and improves a child's couting ability. It's quite simple to make. 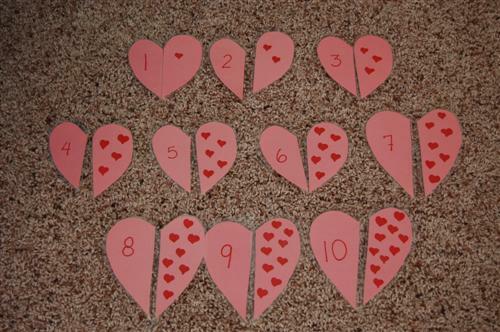 Cut out ten hearts. You can either cut them approximately the same size, or increase the size as you increase the numbers. Pretend there's an imaginary line straight down the middle. On one side of the card write the numbers 1-10. 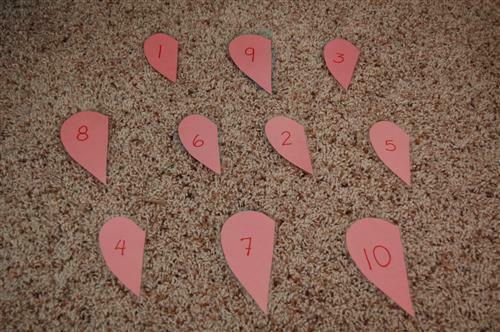 On the other side of the same card, put the corresponding number of hearts. Then, cut the hearts down the middle. You'll be left with 10 left halves and 10 right halves. 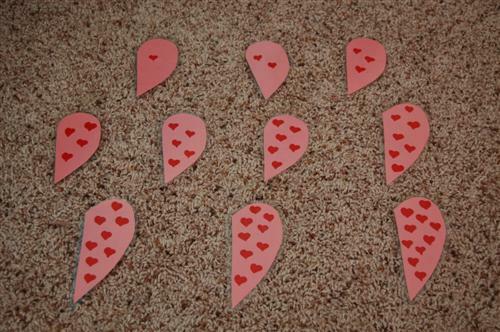 I chose to laminate the pieces, you may wish to do that too. The object is to match up one side with the corresponding side. Have fun with the game. Put them in order from 1-10, then switch the order. If the child is really good, try the numbers 10-20.